Farming unions have vowed to expose and take action against the processors and retailers who are abusing the value of milk and have forced the industry into crisis. 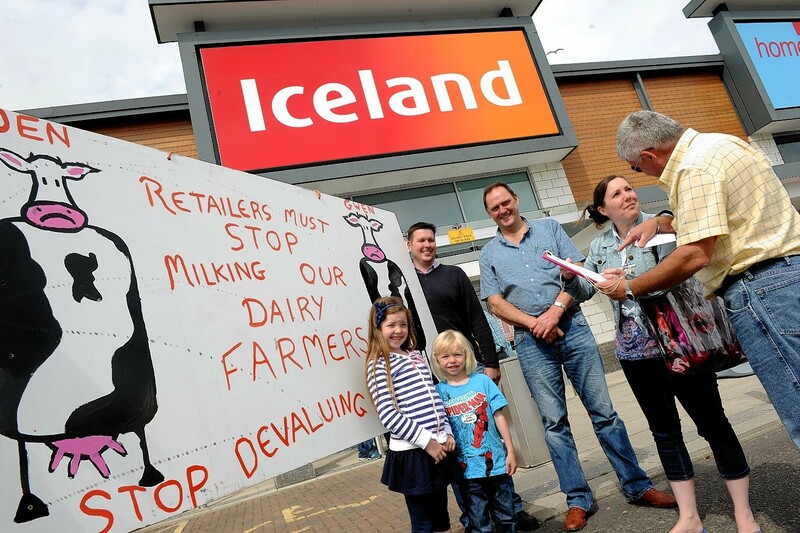 NFU Scotland, the NFU, Farmers For Action (FFA) and the Tenant Farmers Association said they would be willing to do all they could to help the UK dairy sector – which could mean holding a new round of milk protests in the autumn. Addressing hundreds of farmers at the sometimes heated meeting, he said milk had been devalued to a throw-away commodity product, and it was time the industry took action to regain control over the milk price. Mr Handley said before protests began, farmers should look at their production profiles to see which changes could be made to milk supplies. While he was not suggesting producers dumped milk, farmers needed to get the message out that they were prepared to tighten supplies, he added. “The markets are saturated and we need to change that, but until we work together to take the industry forward then we have a problem,” added Mr Handley. NFU dairy board chairman Rob Harrison said there had to be more fairness in dairy contracts and in the supply chain, and that the union was prepared to back protests if discussions failed. However he urged farmers to look carefully at their output, speak to processors and find ways to work with other farmers in a bid to get more price control. “It’s a fundamental problem of the UK dairy market that when prices drop we continue to produce more,” he said. Mr Harrison also warned that the price crisis could get worse before it got better, and that farmers needed to make positive decision as early as possible to help their businesses survive.